Henry Pownall lived as a young child in Japan before being sent back to England to attend boarding school. He graduated as an artillery officer from the Royal Military Academy in 1906 and served in France throughout most of the First World War. He also had combat experience on the Northwest Frontier of India. 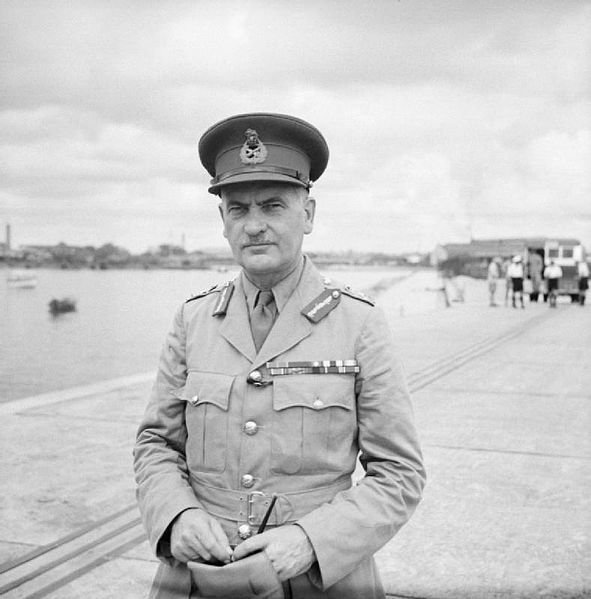 Pownall was chief of staff with the British Expeditionary Force in France in the early months of the Second World War. 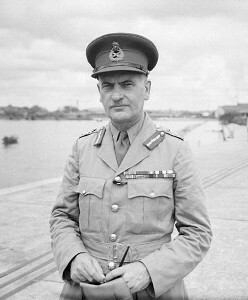 His immediate superior, Lord Gort, became involved in a controversy with the War Secretary, Hore-Belisha, over construction of pillboxes that probably masked a deeper resentment over Hore-Belisha's Army reforms. Pownall, who evinced the casual anti-Semitism so regrettably common in the British upper classes of the day (he once referred to Hore-Belisha as a "Jewboy" [Palmer 2014]), worked through connections in London to discredit Hore-Belisha, who was eventually forced out of the government. Pownall was knighted for his service during the evacuation from Dunkirk. After the fall of France, he served in various staff positions in England, rising to Vice-Chief of the Imperial General Staff, before being sent to Singapore to relieve Brooke-Popham as commander, Far East. He made a strong impression as a capable soldier, but could not halt the retreat down the Malay Peninsula, and was reassigned as chief of staff of ABDA when Far East Command was absorbed into the Allied headquarters. influence [to Mountbatten] as his chief of staff" (quoted in Palmer 2014). He was mostly successful in this role, in spite of poor health from kidney stones. Postwar Pownall prepared rough drafts of most of the key military actions for Churchill's History of the Second World War, which Churchill then edited into final form. Pownall was a protege of Gort and Brooke, but was described by Montgomery as "completely useless" (Palmer 2014), perhaps because of his orthodox views on mechanized forces. His diaries, published after his death, reveal a thoughtful and intellectual officer who believed Britain's involvement in any second European war was inevitable, would require a total effort, and even then could well be lost.